Generally, reservations are not required. However, if you have a specific site or an area in mind that suits your needs better, you may want to reserve a site. Holiday Long Weekends (Canada Day, Civic Holiday and Labour Day) we require a 2 day minimum stay when making a reservation. We will require your name, telephone no., address, postal code and a valid credit card number. We do not accept reservations through email only inquiries or information. Cancellation We require 24 hours notice prior to day of arrival for a refund (less $15.00 non refundable reservation fee). Failure to cancel (no show) will result in the cancellation of the remaining nights of a reservation with no refund. Check in time is 2:00 pm and check out is 1:30 pm. Group Site reservations require full payment of the campsite fee and damage deposit when making the reservation and special conditions apply. We accept VISA, MasterCard, and American Express. * Rates are based on one family (parents with children) or two adults per site. A maximum of four adults only per site. ** Maximum of 35 campers allowed, reduced rates available for Youth Groups and Charitable Organization. Damage Deposit may be returned after site inspection. *** Bruce Trail Members can enjoy a 10% discount when showing their membership upon registering. All campers can save 10% when booking for six nights or longer. 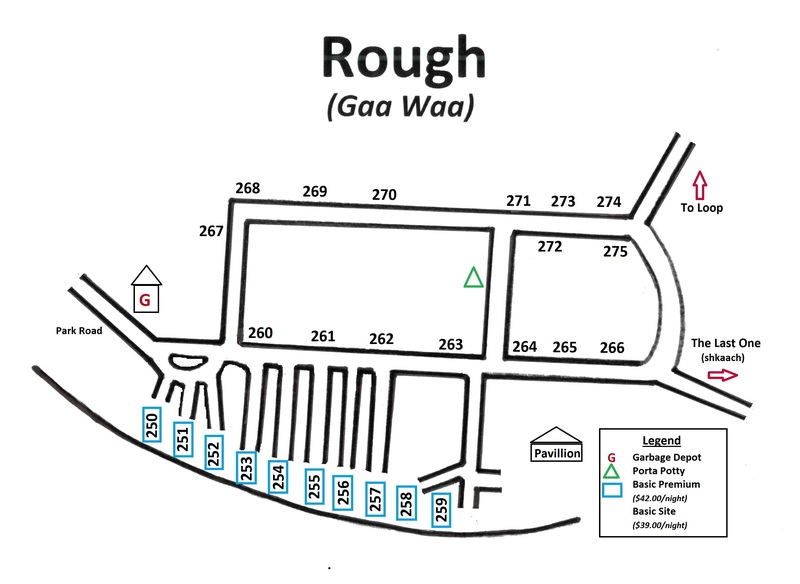 Are you looking for a campsite to accommodate a group of people? We have the ideal site for your outing. "The Birches" is our group campsite. This site is located on the north shore of Sydney Bay. 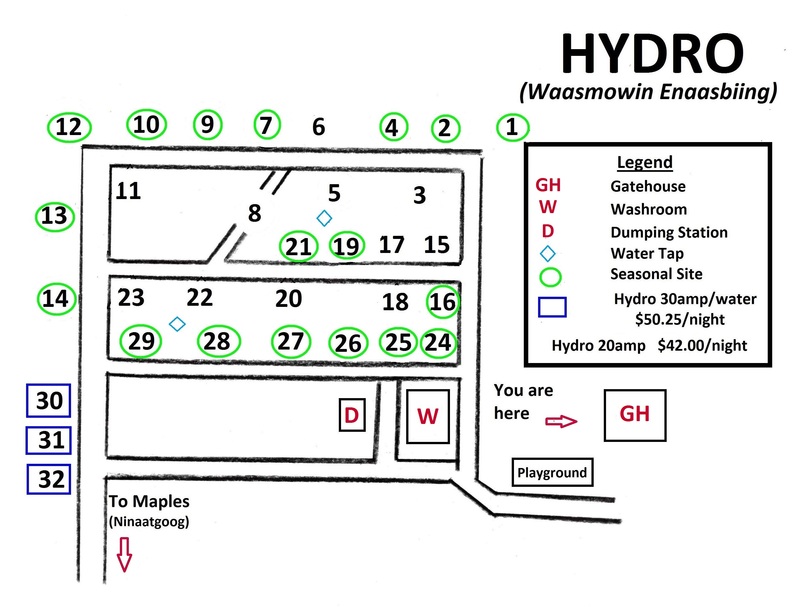 It is a large oval site set apart from the main campgrounds. 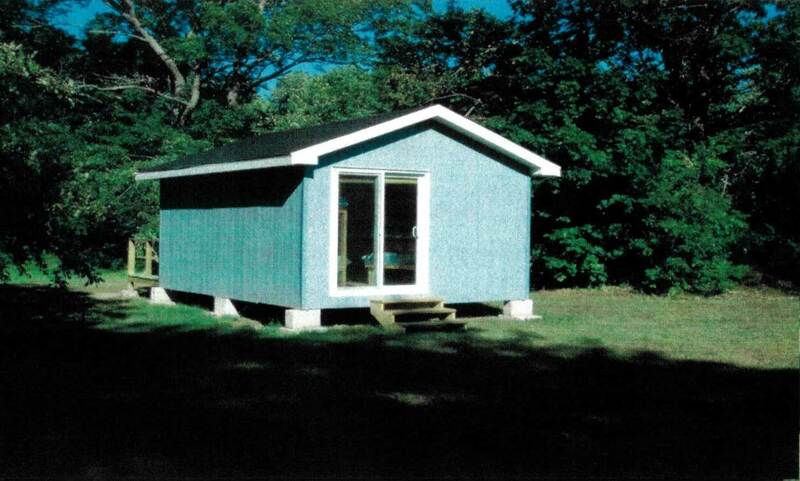 It is private and perfect for groups up to 35 people. 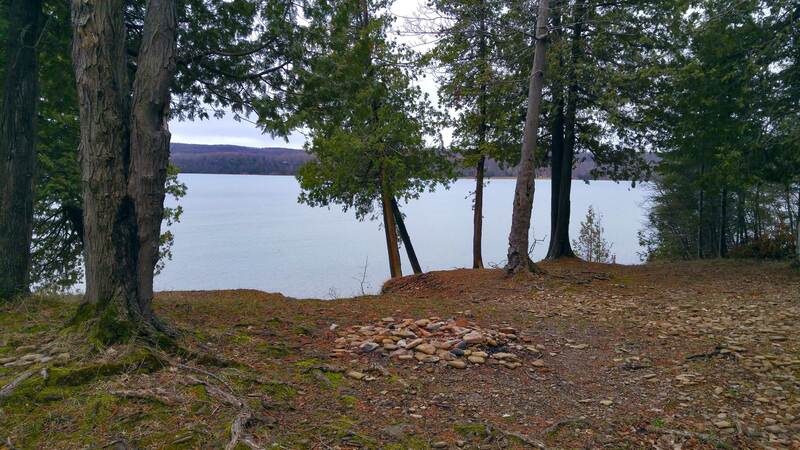 The site has a central fire pit and plenty of space for tents or trailers. It is serviced by two portable toilets. Our main comfort station is a short drive or bicycle ride away. Youth and special groups may be eligible for a discount on camping fees. The Birches is a popular spot so reservations are recommended. Book Early! Group campsite fee for all nights and damage deposit must be paid in full when reserving the site. A 14 day notice of a cancellation is required for a refund (less $175.00 for administration fee). If no notice is given you forfeit all fees. *Maximum of 35 campers allowed. **Damage deposit may be refunded after inspection. Reduced Rates Available for Youth Groups & Charitable Organizations. 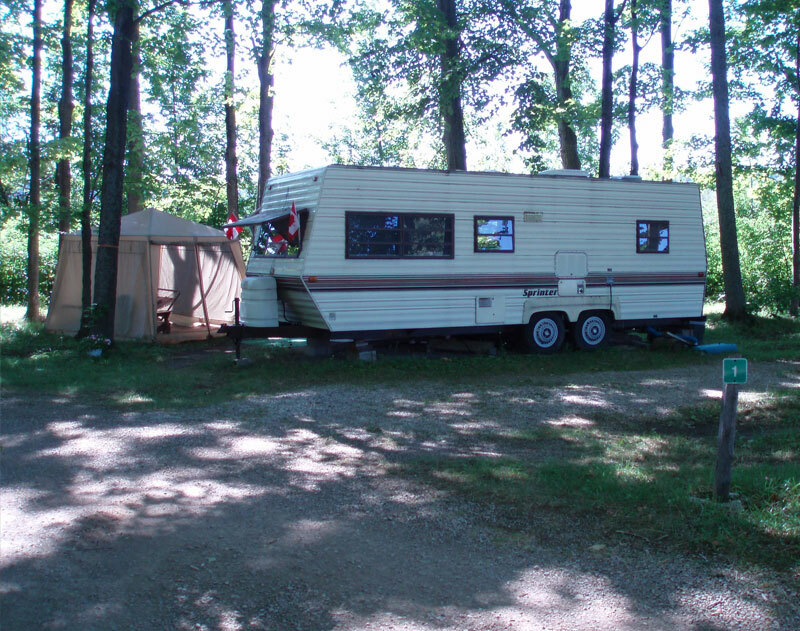 If you're tired of towing your trailer on busy highways every weekend and you enjoyed your stay with us, maybe a Seasonal Campsite is for you. We have over seventy seasonal campers. Many have been with us for years. We offer affordable rates, a long season (May to October) and on site trailer storage. Special conditions apply. If you are interested please inquire at the Park Office. Our campground was developed as a family campground. 15 common sense general park rules have been developed to help us to maintain the ambience or atmosphere of the park, our grounds and our facilities. Our rules are guides as to we expect our visitors conduct themselves so all may continue to have an enjoyable, safe and memorable camping experience. The most common complaints are dogs running at large or off leash, dog owners not scooping, alcohol carried off the campsite, driving too fast the camping areas and of course excessive noise. Please take a moment to review our General Park Rules and act accordingly. We hope that you have hassle free stay. 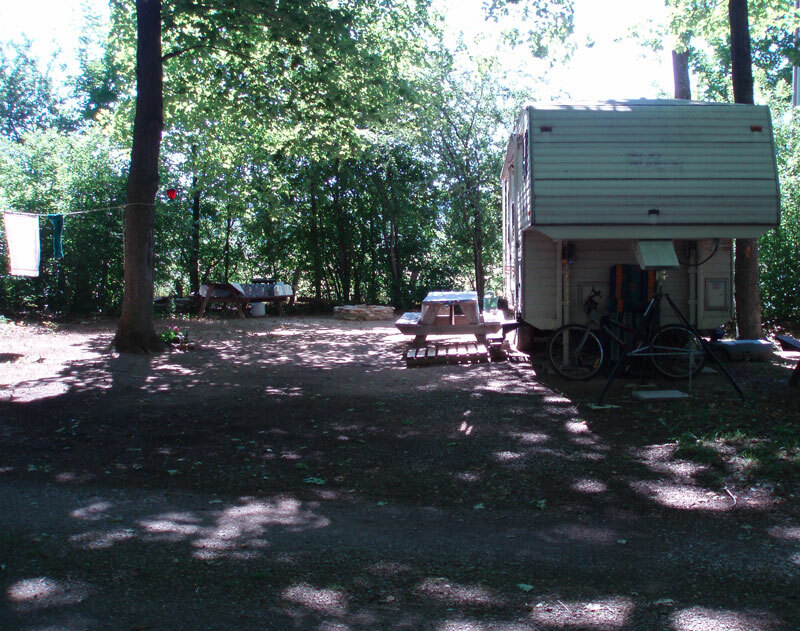 The sign at the front gate reads "No Excessive Noise At Any Time"
Some campers are very surprised when a campground attendant visits their campsite to ask that they please be quiet. Campers must remember that the park is here for their enjoyment of the outdoors and that the trees are not sound barriers. Excessive noise is defined as any noise that can be herd by others, such as: music, dogs barking, or even loud conversations between two people. Sitting around a campfire is simply one of the most enjoyable experiences you can have with family or friends but please remember that other campers wish to enjoy a peaceful outdoor experience. 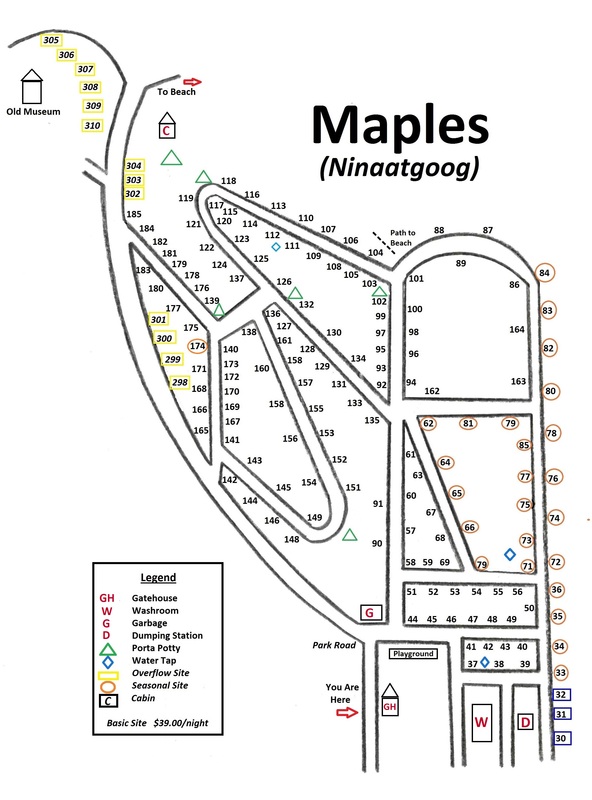 One family (parents and their children) or a maximum of 4 adults per campsite. Visiting hours are 8:00 a.m. to 10:00 p.m. Only registered campers are permitted to remain in or enter the park outside visiting hours. The maximum speed on main park roads is 30 km/h. The maximum speed in camping areas is 15 km/h. 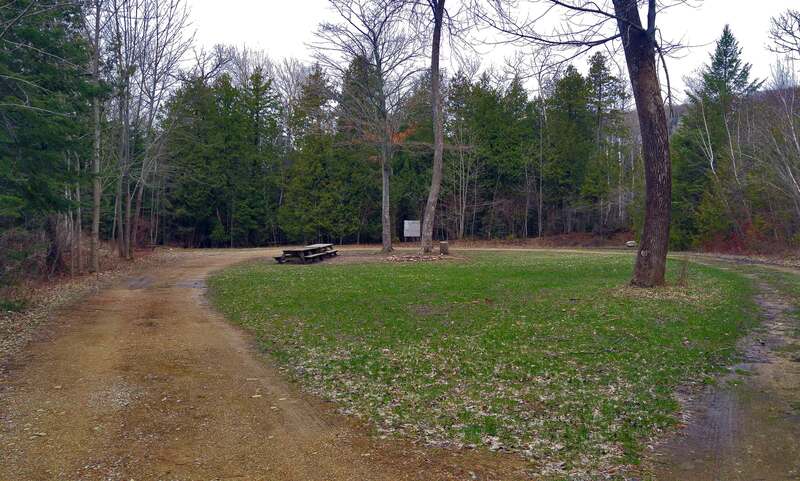 Campers and park visitors are responsible for their garbage. Garbage must be sorted for recycling. All garbage placed in the Garbage Depots must be bagged. Bags are available at the park office free of charge. Every person using a campsite shall at all times maintain the campsite in a condition satisfactory to the superintendent. When vacating the campsite, they shall restore the campsite as near as possible to its natural condition. Campfires are permitted only in designated fireplaces. No person shall start or maintain a fire except in a designated fireplace. Scavenging for deadwood from park lands is prohibited. The owner or person in control of a domestic animal must maintain physical control of the animal. Leashes must be no greater then 2 metres in length. Domestic animals are not permitted in swimming areas. No person shall pick or remove flora or fauna from the park. No person shall remove or damage or deface Park property or damage or deface any relict, artifact, or natural object or any site of archaeological or historical interest. No person camping in the Park shall operate an All Terrain Vehicle (ATV), dirt bike or any off road vehicle on the premises. The operation of such vehicles on trails and in camping areas located in the Park is prohibited. The use of generators in all overnight camping areas is prohibited. Non-compliance with park rules may result in charges and/or eviction. Feel free to print them off or download them for your reference when making a reservation. 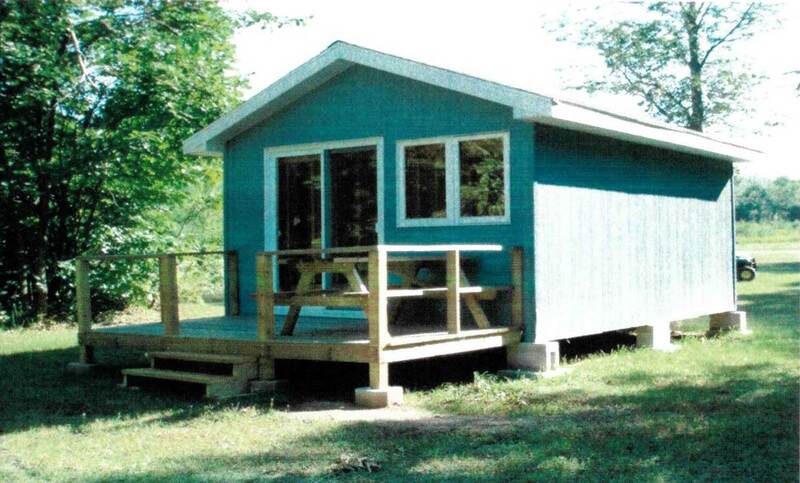 The cabin has a queen sized bed, a bunk bed, a fire pit, porta-potty, and picnic table. Sleeps 4 (max) and includes parking on-site. It is a 5 minute walk to the beach or showers. Please bring your own bedding, lights and camping supplies. The cabin does not have hydro or water.